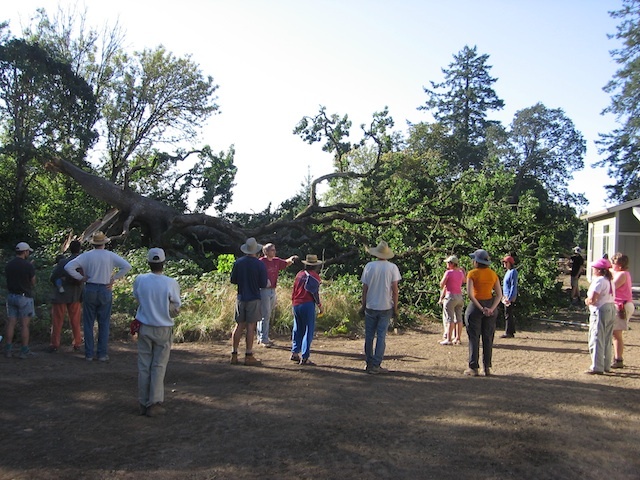 CoHo Ecovillage has lost three trees over the years–each one providing an opportunity for community-building. How Many CoHoots Does It Take to Plant A Tree? Another tree is added to the growing edible landscape at CoHo Ecovillage…. Trees were milled onsite at CoHo Ecovillage and the lumber has been used for both indoor and outdoor CoHo projects.